SHADOWS OF THE 60s pays tribute to the tremendous legacy of The Four Tops, Temptations & Supremes. In this Tribute production show, SHADOWS OF THE 60’S perform the hits that span several decades. Great care is taken to reproduce the music, note for note and in the original keys and arrangements. 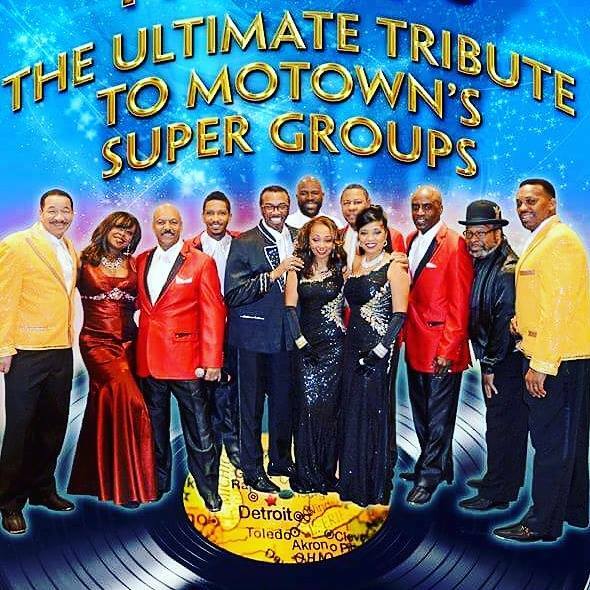 Now, triple the memories and excitement with our Tribute to Motown’s Super Groups. Stunning choreography & costumes! Three Super Groups on one stage with a grand finale featuring the music of Motown’s Smokey Robinson, Marvin Gaye, Stevie Wonder, Gladys Knight, Martha Reeves, Junior Walker, and more! Click on their “Reviews & Video” page to read what fans, buyers, agents and theater owners are saying and then check our schedule page for locations to where we will be appearing in your area. Don’t see your community listed as one of our tour dates? Then be sure to contact your local Performing Arts Center, Theater owners or event organizers to bring us to you. Be sure to Bring your friends and family and join us for a night of musical pleasure. “Shadows Of The 60’s” – Truly a concert for everyone!